Statutory warning- people should wear dark glasses before looking at this tunic! 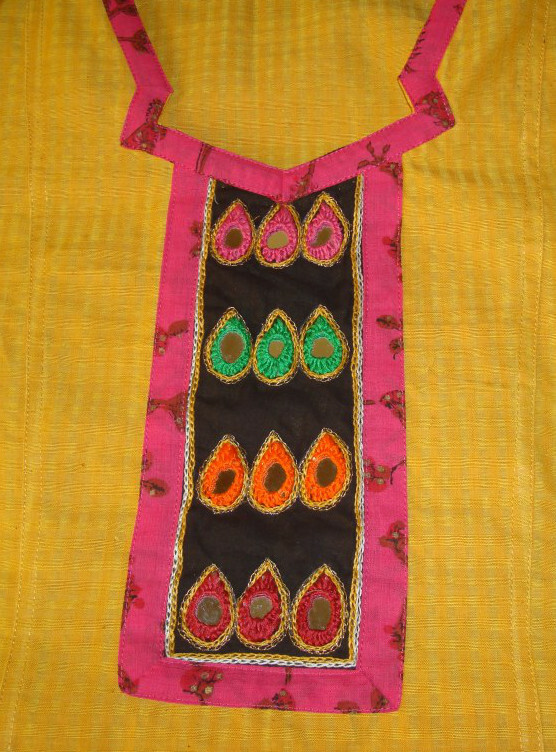 The embroidery design for this tunic is based on ethnic mirror work on a simple yoke. 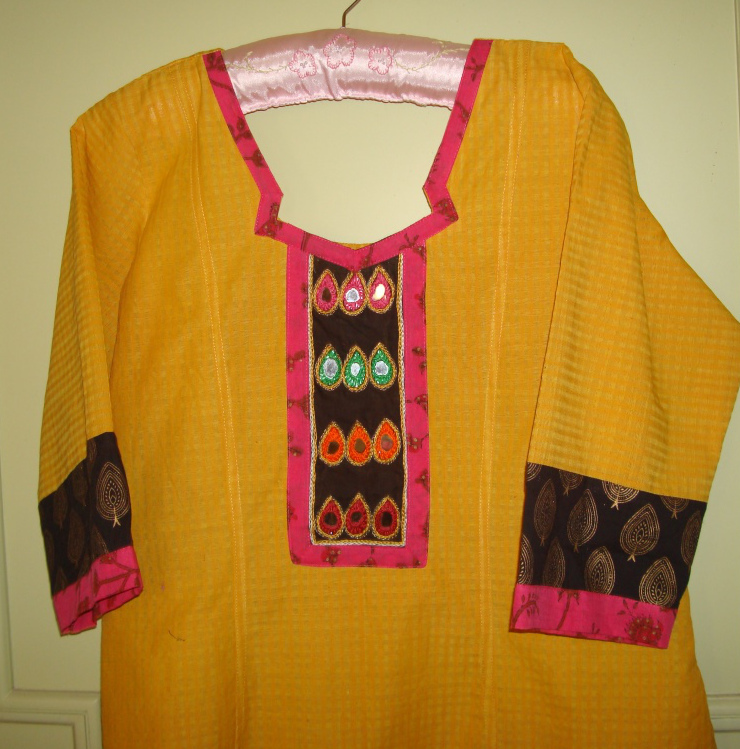 The tunic is yellow, with sleeves in gold printed black with a gold printed pink. By chance I found a shop in Chennai selling these mirrors. 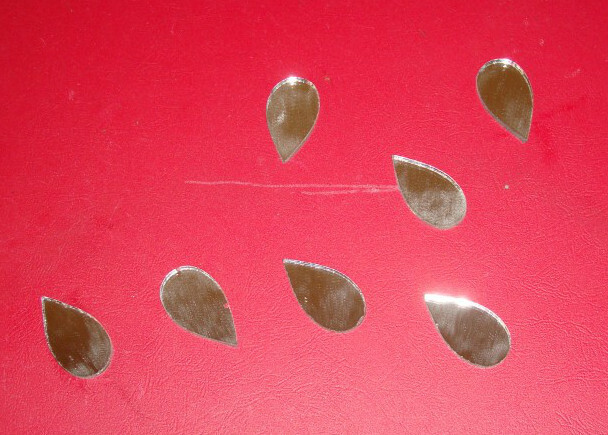 Mirrors for stitching are generally round or square. The print pattern on the black fabric matched these mirrors. After working the mirrors with different coloured threads. The Indian ethnic element in full force! The yoke detail, I wish the tailor had avoided the piece around the neck line, sometimes his enthusiasm leads to these finishing effects. 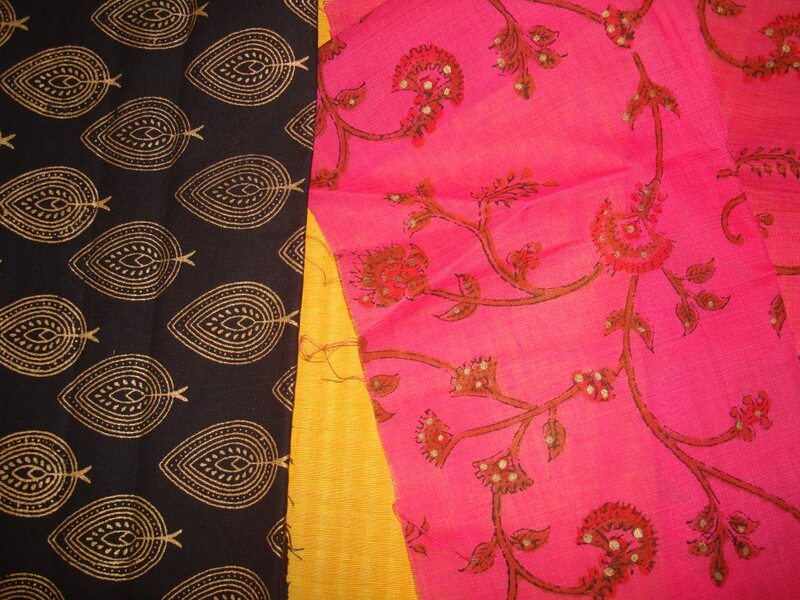 The fabric is handloom coarse cotton and it is cool to wear it in hot summers, still the yellow is too bright for the eyes. I should probably not inflict this colour attack on the people who look at it!